Here's a small flier (and postcard) I made to promote Jack in the actual world. 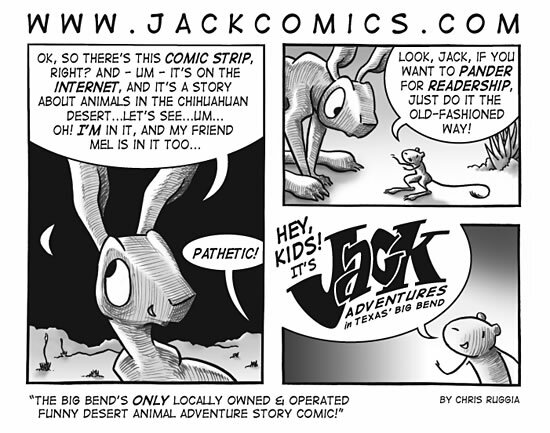 It's intended for people who live in or are visiting Alpine or the other small towns in the Big Bend area (hence the "locally owned & operated" part -- support your local cartoonists! -- if you have any).